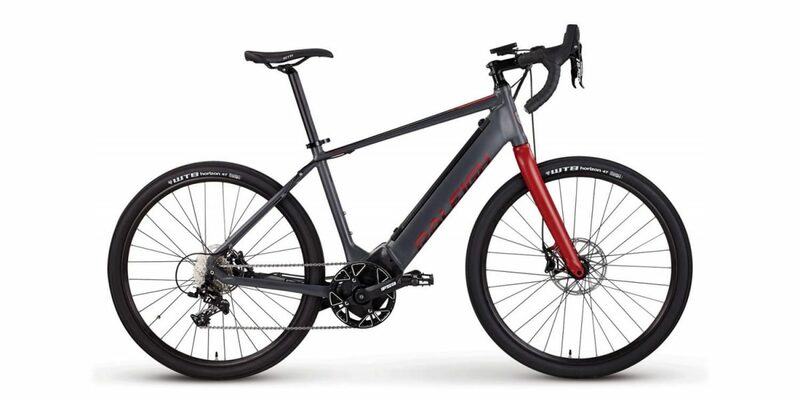 Integrated, Threadless Internal Cups, Sealed Bearings, Straight 1-1/8"
The Raleigh Tamland iE is a gravel grinder bike with Class 3 electric assist performance. It’s fun to ride on pavement, gravel, and packed dirt trails, because of the wider tires and flared drop bar. While it may look similar to a road bike, the geometry is more upright and the components are tougher. 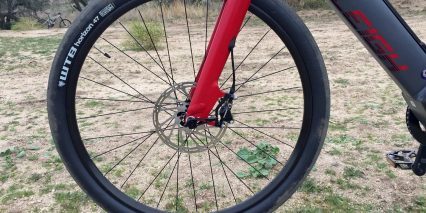 You get powerful hydraulic disc brakes instead of dual-pivot caliper brakes, which press into the rim and might get caked with dirt and water in off-road settings. Sturdy thru-axles, front and rear, offer the necessary strength to handle the heavier rims and tires at work. 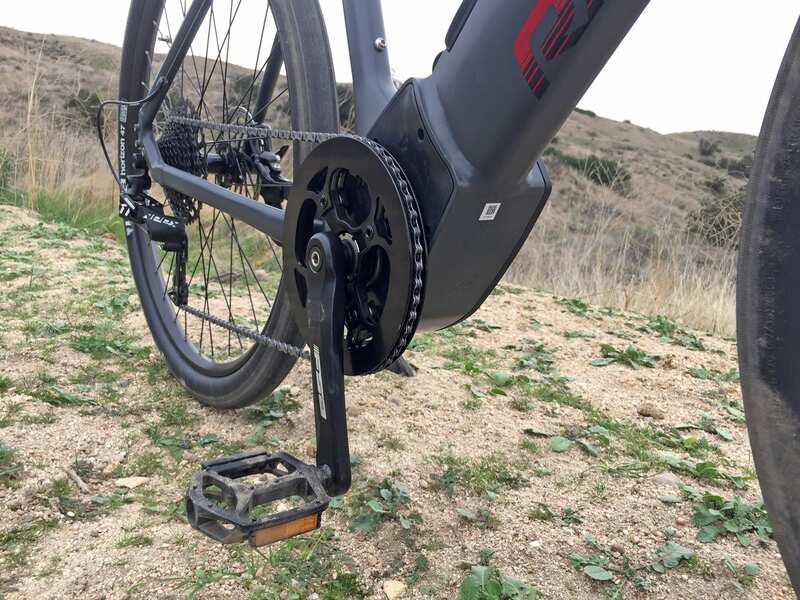 An alloy chain guide doubles as a bash guard, protecting the motorized bottom bracket while significantly reducing the potential for chain drops. 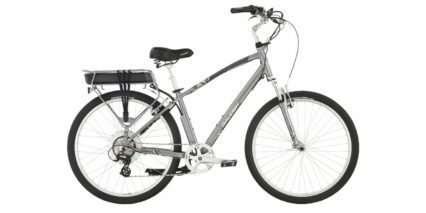 Large alloy platform pedals offer reliable traction with sport shoes if you choose not to setup clipless, and threaded eyelets abound… offering support for fenders, a rear rack, and bottle cage or folding lock. 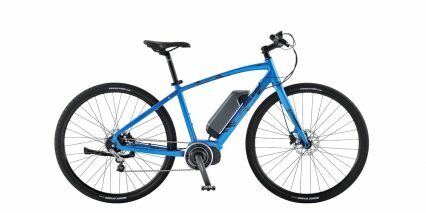 It’s a fast, fun, extremely capable electric bike that felt a lot more comfortable than it looked at first. I associate drop bars with stiff road bikes that transfer every crack and deviation into the frame and ultimately, your hands, shoulders, back, and neck. The Tamland iE doesn’t come with any sort of suspension by default, but even then, it feels pretty good if you lower the tire pressure a bit. 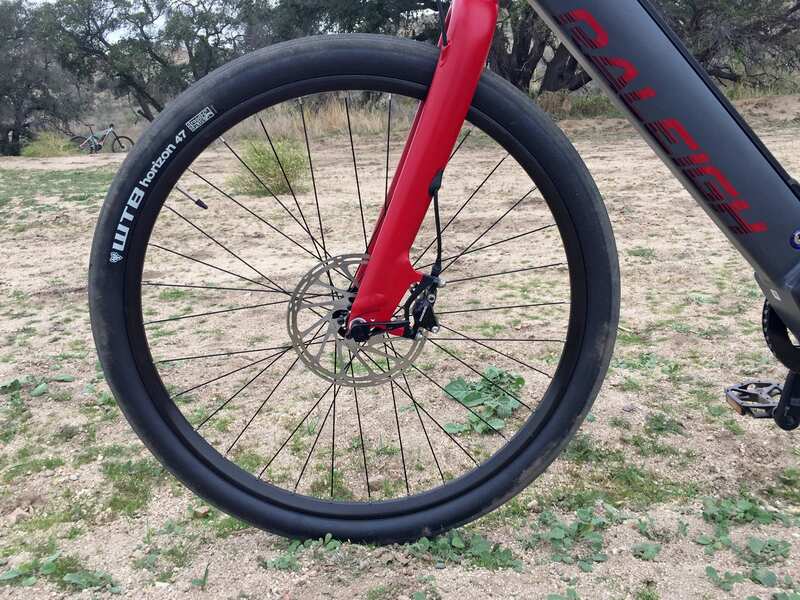 The 650b tires offer much more air volume than most road or city bikes with 1.85″ diameters. 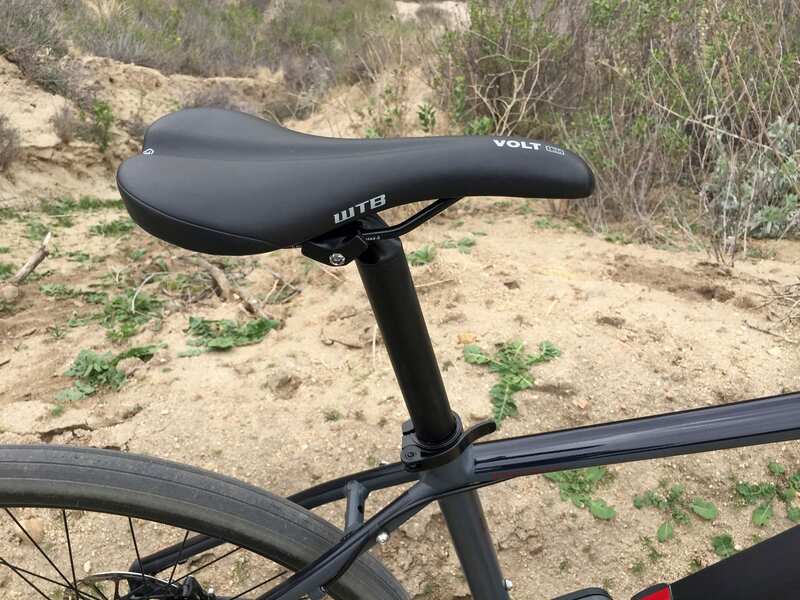 For those who are especially sensitive or simply prefer a suspended feel, consider purchasing a 31.6 mm suspension seat post from Kinekt or SR Suntour. 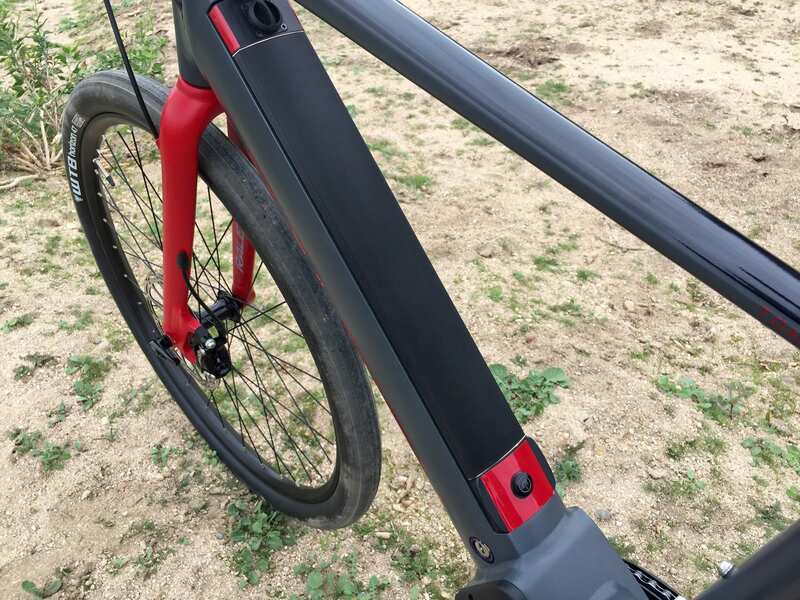 I love that the bike comes stock with a kickstand for those who intend to do mostly on-road riding, and that the display is removable to reduce tampering and wear in urban bike-rack settings. The battery did rattle a bit when riding off-road, but a few foam stickers could solve that. And, the magnetic cap on top of the battery is a little vulnerable, so make a conscious effort not to misplace it when charging the bike. Otherwise, it’s one of the fastest, quietest, and stealthiest trail bikes I have seen in a while. 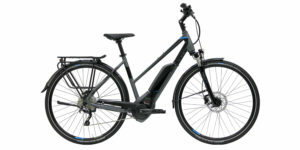 Do note however, that some geographies and trails do not allow Class 3 products to be ridden. 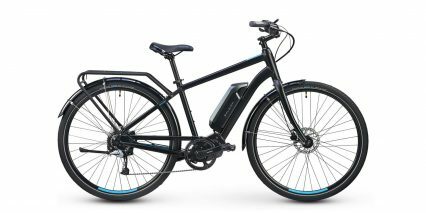 They limit ebikes to Class 1 which offer pedal assist up to 20 mph (32 km/h). Driving this electric bicycles is one of my favorite current generation mid-motors. 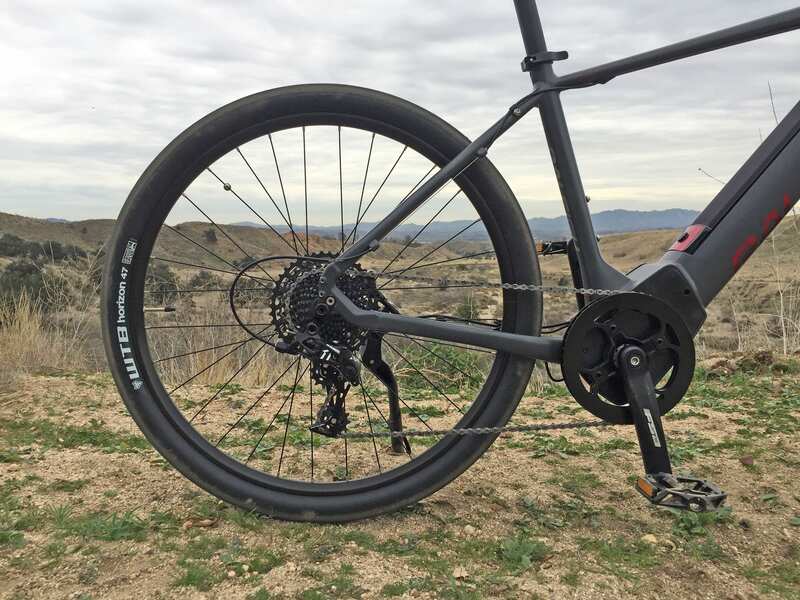 Brose offers a few products at this time, and all of them offer up to 90 Newton meters of torque, weigh about 7.5 lbs, and produce very little noise because of a Gates carbon belt drive implementation. 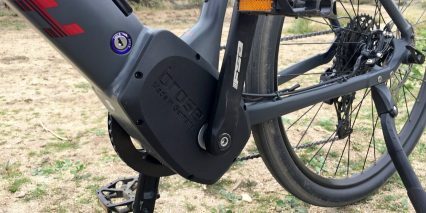 Rather than using only plastic gears to create a reduction and generate power, this motor transitions from one gearing system to the pedals with the belt, and the result is a smoother ride feel. So, this is the Brose Drive TF which I believe stands for “Trekking Fast” because it offers support up to ~28 mph (~45 km/h). 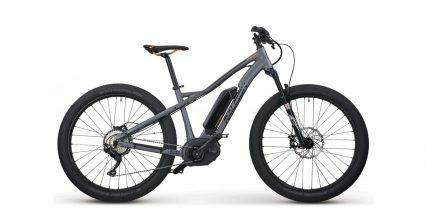 Stepping back for a moment, Brose offers a similarly specced Drive T which caps at ~20 mph and maintains a consistent 80 Nm of torque (like the TF) and a Drive S which also limits to ~20 mph but consistently hits 90 Nm of torque for sporty off-road use. In my experience, the Brose motor (T, TF, and S) is one of the most natural feeling systems on the market right now. 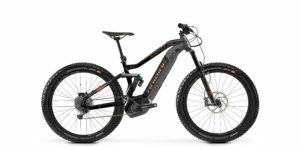 It feels similar to the Bosch CX motor in eMTB mode. Unlike that motor, the TF motor controller does not offer shift detection. 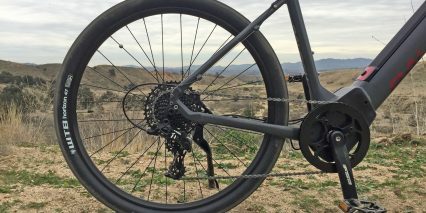 But, it does measure the rear wheel speed, pedal cadence, and pedal torque, so you can manually ease off when shifting to reduce drivetrain wear. This motor does not hang down or forward as much as some other mid-drives, and blends naturally with the Tamland iE frame. I didn’t have a problem with power when climbing, but did lose traction when I slowed down and stopped on a softer dirt incline because the tires are more slick than knobby. In order to climb most effectively or hit and maintain the top speed, you will have to shift gears actively. 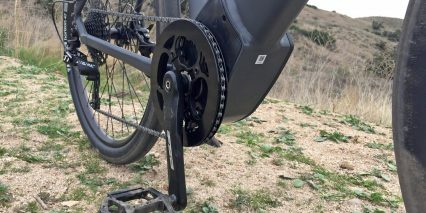 The SRAM APEX derailleur performed well and the cassette offers plenty of range with an 11 to 42 tooth sprocket spread. 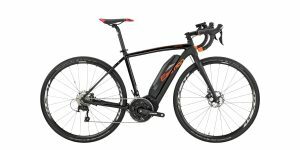 I didn’t feel like I had to struggle at the low or high speeds, even without much motor support, and was impressed with the relative light weight of the bike at just ~46.3 lbs. The derailleur has a roller clutch that can be activated to keep the derailleur in the down position when removing the rear wheel, it’s a little circular button with a lock icon on it… just push the hangar down (or stretch it down) then press this button to have the derailleur stay fixed. 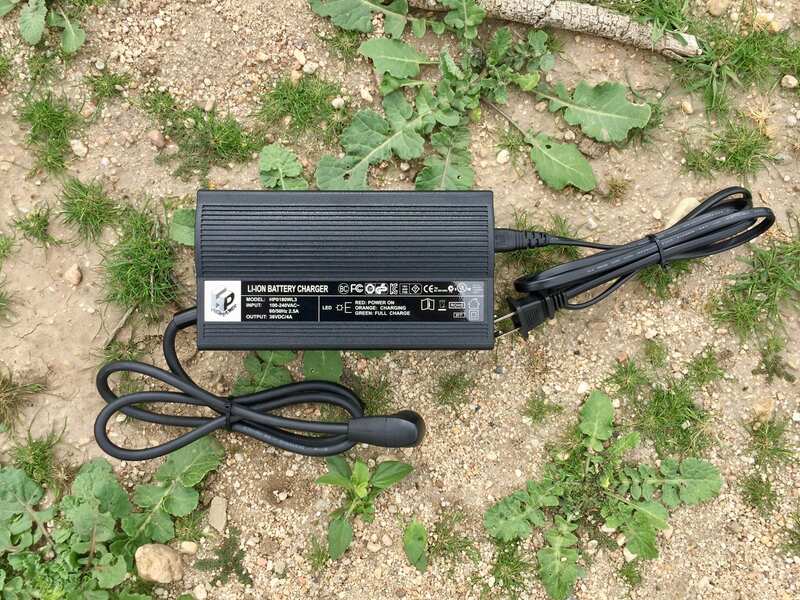 Powering the motor and beautiful backlit display, as well as a full sized 5 volt 500 milliamp USB port on the base of the display panel, is a 36 volt 13.8 amp hour Lithium-ion battery pack. The capacity is quite good, slightly above average for the 2018 season, and the battery casing felt solid and tough. Because the casing is made of aluminum alloy and not plastic, the pack does weigh slightly more than average at 6.4 lbs (compared to ~5.7 lbs for the Bosch Powerpack 500). Thankfully, this weight is sunk into the downtube, which improves handling and keeps it hidden. I love how this opens up the middle triangle of the frame, providing plenty of space for a bottle cage on the seat tube. 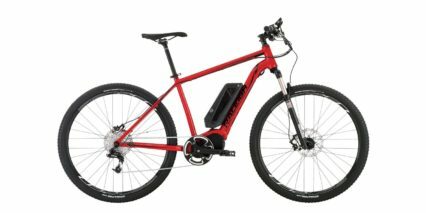 I feel that Raleigh could have added a second set of bosses on top of this battery pack or maybe below the top tube, but that’s a minor consideration. At least the wires on this bike are mostly hidden and the base of the top tube is smooth, making it safer to hang on certain styles of bike racks. 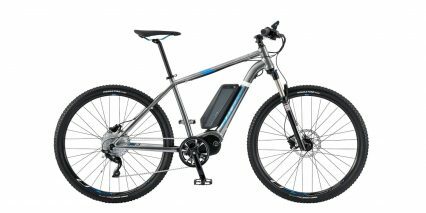 The battery did vibrate and rattle a bit during my ride test off-road, as mentioned earlier, but it was easy to charge on the bike and to remove for off-bike charging. 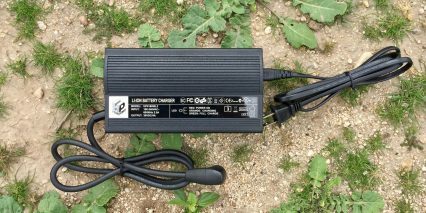 I love the faster 4 amp battery charger because it’s not especially heavy or large (but not quite as light or compact as Bosch), but I do worry about the magnetic cap at the top of the battery. Just try not to misplace the cap or the electrical connector points will be exposed and get messy with dust and water over time. 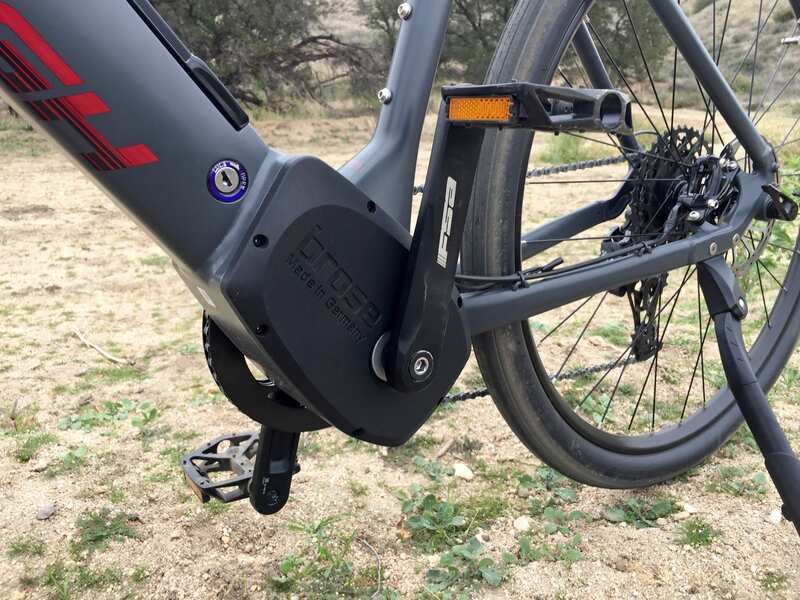 By comparison, Stromer electric bikes use a very similar Rosenberger charging port design but have included a plastic leash to keep the cover from getting lost. I’d love to see that from Raleigh and others in the future. 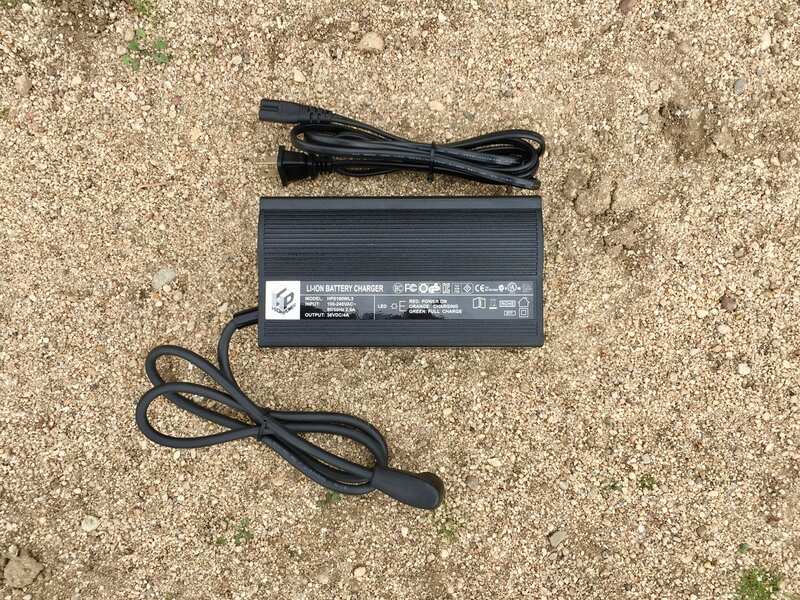 The other gripe I have with the battery pack is that it must be physically turned on before the display and ebike will work. 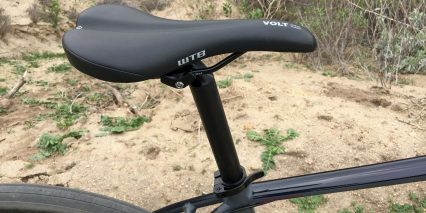 The power button is located way down near the base of the seat tube, and could be tricky to reach if you forget before mounting. Once it has been activated, however, the display can be turned on and off with a separate power button for a two hour stretch. Also, be careful when unlocking the battery pack because the key cylinder is positioned very close to the left crank arm and could get snagged or bent if a keychain is attached. 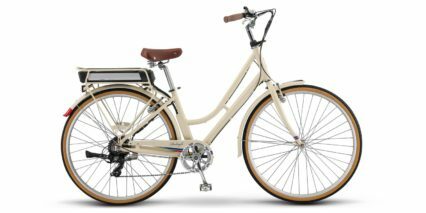 Operating this bike is fairly intuitive in terms of button and display arrangement, but the position of the button pad isn’t quite as reachable as with other bikes that also use the Brose Classic display. I have done an in-depth guide and video on the display in the EBR Forums here, but will also go into some detail here. Once the battery is activated, the display automatically powers up as well. It’s a grayscale LCD that has a dim mode and a bright mode that activates automatically when you press any of the navigation buttons. There’s a power button at the top right edge of the display that basically puts it to sleep but does not de-activate the battery, you can do that by holding the button for several seconds. On the right edge, there’s a light button that would activate a bicycle headlight and taillight if they were present. And, I do think that some shops can help wire in aftermarket lights for you if you’re willing to buy the lights and pay for service. Just below that button is a menu button that cycles through readouts, and this button is duplicated on the remote pad which is mounted in front of the display on an accessory bar. On this button pad, the center circle button is what changes menus. Above the circle is an up arrow and below is a down arrow. These arrows let you navigate the three levels of assist (Cruise, Tour, and Sport), or you can go all the way down to Off and then hold the down arrow to activate walk mode. I love that the bike has a functional walk-mode because some big companies have disabled it on their US products. 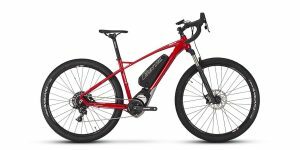 The walk assist only goes up to ~4 mph (~6 km/h) but is useful for pushing the bike if you get a flat tire or have to climb up a steep section of trail that isn’t rideable. All in all, this display is elegant, simple to use, and offers more precise battery charge level feedback than a lot of competing devices. You get a 10-bar infographic with each bar representing a 10% step. I’ve been told that you can maximize battery life by storing it in a cool, dry location and keeping it charged above 20% at all times (apparently 20% to 80% is the sweet spot). 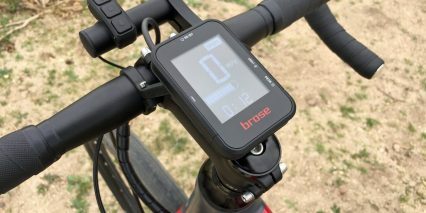 The Brose Classic Original display is removable, easier to find and replace than some custom proprietary solution, and provides most of the menus I like, but didn’t seem to have a dynamic range estimate like Bosch, Shimano, and some others. There are only a handful of electric bikes on the market in the US right now that offer drop bars, and only a couple with larger tires, hydraulic disc brakes, and such a clean integrated aesthetic. 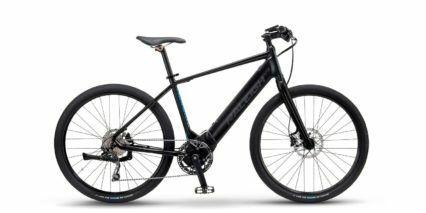 The Raleigh Tamland iE does cost a bit more than a traditional flat bar city bike or trail bike, but the premium drive system from Brose, capable 11-speed drivetrain, tough chain guide, flared handlebars, thru-axles, and three frame sizes really set it apart. 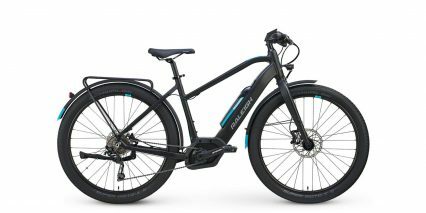 I love this e-bike, and could see myself riding it to work, across dirt paths, and even off-road a bit (like we did in the video review above). I appreciate that the motor supports higher cadence levels (up to 120 RPM) and doesn’t fade as much as some other drive units, because I like to spin when riding on road. 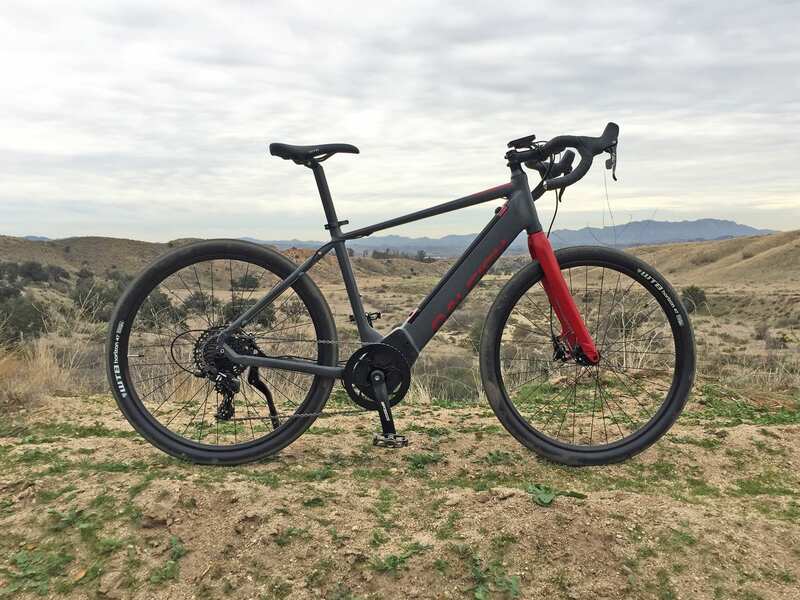 The bike is just so quiet and fluid, it feels stable when approaching the max speed, and I didn’t mash gears much at all because of how responsive the motor is and because I am careful about how and when I shift (usually when coasting for a moment as I ease back on the pedals). I’m sure that you could swap the smoother tires here for some knobby ones if you intend to do mostly trail riding, and I’m always a fan of seat post suspension products… there are even some suspension stems now that take the edge off of your wrists and arms (both aggressive or upright stems). Big thanks to Jim Maher who represented Raleigh and took me to this special place to ride off-road, and of course, thanks to the Accell Group for partnering with me on this post. 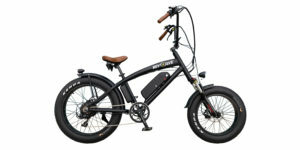 I’ll do my best to answer comments below and you can connect directly with other riders in the Raleigh electric forums. Court, I’m happy to see you’ve reviewed a drop bar bike. 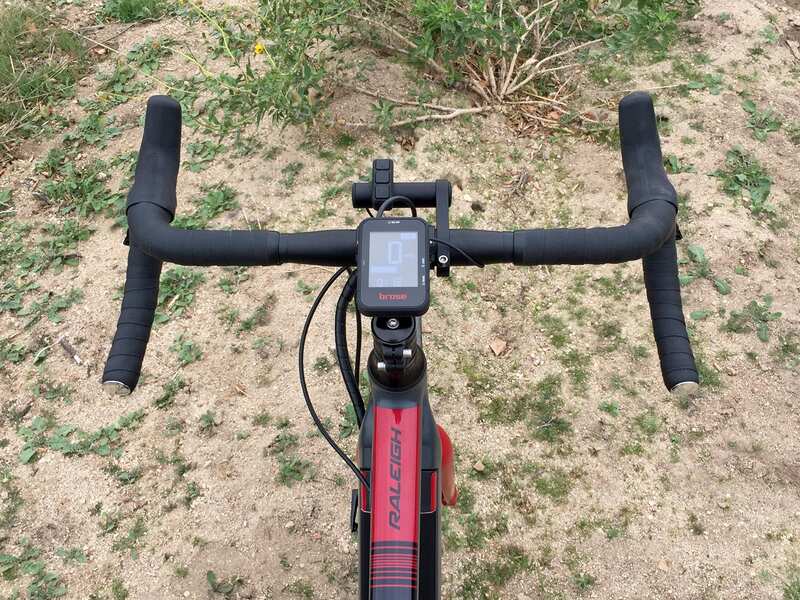 I prefer drop bars for the multiple hand positions and I also like a more aggressive road riding position for the aero benefit. Can’t wait to see more reviews of drop bar electric bikes. 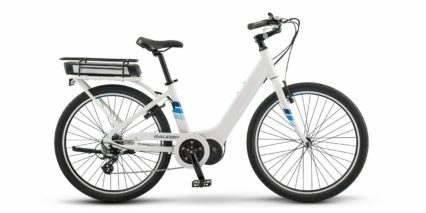 Really would love to see a review of the Orbea Gain. No water bottle bosses on the down tube. On a bike like this, you want to carry two water bottles. 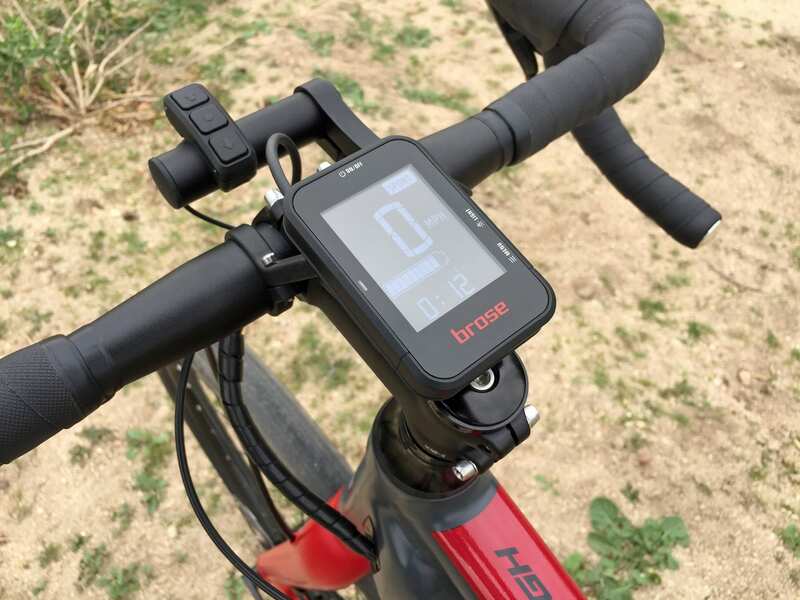 When the seat tube water bottle cage is installed, you can not remove the battery. 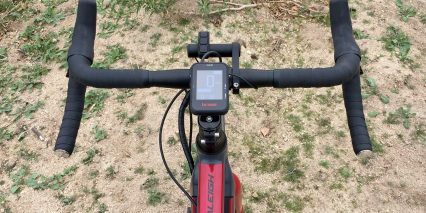 The assist control buttons are mounted on a separate accessory bar, not directly on the handlebar like DI2, very inconvenient. The 50 cm handlebars are way to wide. I use a 46 mm on my gravel grinder. My wife, whose bike this is, normally uses a 38 cm wide bar. 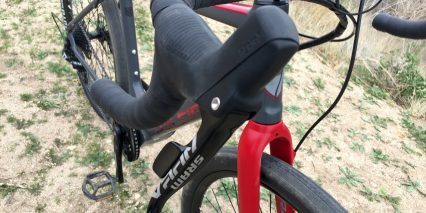 The SRAM brake levers have too much travel before the pads engage, and there is no adjustment for that. Scary in a paceline. The crank arm length for a Medium is 175 mm. Too long for my wife. 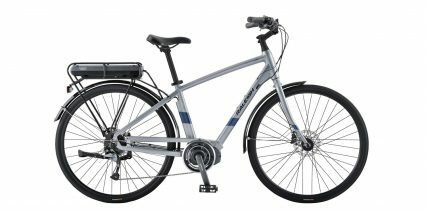 Both the Raleigh and Brose manuals are general, and don’t provide much specific information. There is no indication of the maximum recharge time. It recommends having a fire extinguisher handy but does not advise what type. There is no guide for the proper tire pressure. Hi Christian! Great points, I appreciate you taking the time to share your experience and want to help clarify a bit on some of the items. Great point about the challenge of removing the battery if a bottle cage is installed. I hadn’t thought of that! 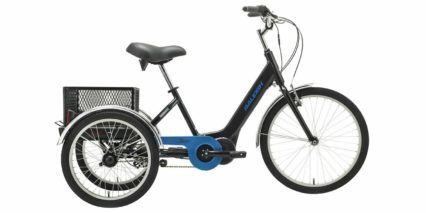 Maybe it would work a little easier with just a folding lock, but I agree that more fluids is better and two cages would be nice… maybe one on the battery housing or the base of the top tube in addition to the seat tube. I also agree that it’s tricky to reach the control pad where it is at vs. being closer to the left grip. It’s always tricky on drop bars to know exactly where to put brake levers and button pads (some bikes have two sets of brake levers for this reason). Perhaps you could have the brakes bled or adjusted to activate quicker? Maybe adjusting the caliper position could help as well? I’m not an expert there… do ride safe! I’d suggest charging for 5 to 8 hours depending on how empty the pack is. 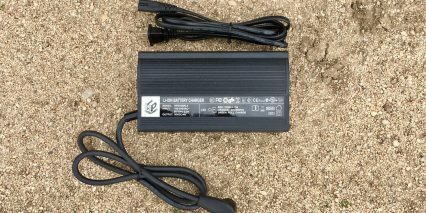 Most nicer batteries and chargers use controllers that automatically shut off but I still don’t like leaving them plugged in overnight. 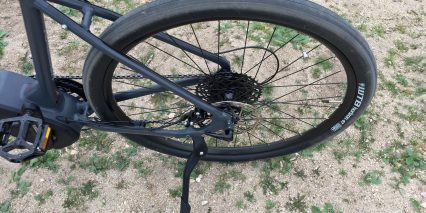 As for tire pressure, I list this stat for all of the bikes I review (and you can usually find it stamped on the tires, easier to read when new). 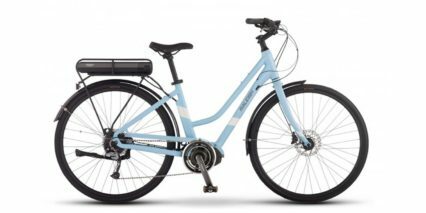 The recommended PSI range for the Raleigh Tamland iE is 45 to 65 PSI or 3.1 to 4.5 BAR (you can see this in the tire details section under the bicycle details section above). I have had the Tamland for a bit over a month and 400+ mikes. My main goal for the bike was to help me with riding steep (10+ % grade) gravel roads in the mountains but I’m also really enjoying it on my relatively flat daily ride. 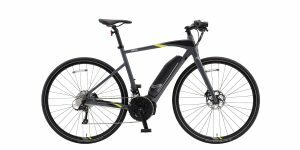 The bike is super comfortable and the range has been impressive. On a combination of fairly flat 75% tarmac and 25% single track with the assist at 70% cruise / 20 % tour / 10 % sport I’m able to go 50 miles with about 1/3 battery left. In the mountains where I’m 25% tarmac and 75% gravel with assist running at 10% cruise / 50% tour / 40% sport, I get about 38 miles with 1/3 battery left. I weight 215 and regardless of the road, I’m riding for exercise so I’m typically riding fairly aggressively. Brose motor is silent on cruise, audible from time to time on tour, and bit more noticeable on sport from dead start / high speed sprint. I suffered 1 flat and have converted the front wheel to tubeless – a bit nerve wracking to install for the first time but so far so good – I will convert the rear once I have some miles on the front with no issue. While waiting for the tubeless supplies to arrive, I went back to my road bike. 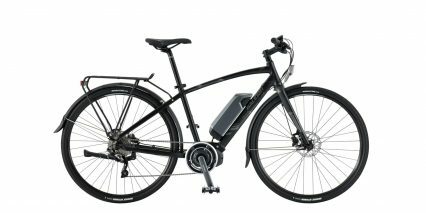 First ride felt like I had my brakes on all the time – my brain got condition to the speed of the ebike – by day 2-3 my brain adjusted back to the road bike and it felt normal again. I rotated the control pad 180 from the front of the handle bars to stem side and like that position much better -also needed to make room for phone mount and light. A water bottle fits fine on the large frame – battery can be removed but I chose a cage with some clearance towards the the front of it. I’m using a lens cap tether to retain the charging plug when it’s out. I also added some fenders – these big tires kick up a lot of water / dirt. Thanks to the great job Court does with EBR, I was able to find exactly the right bike. That’s awesome! I love your idea for a camera lens cap leash to keep track of the charging plug. 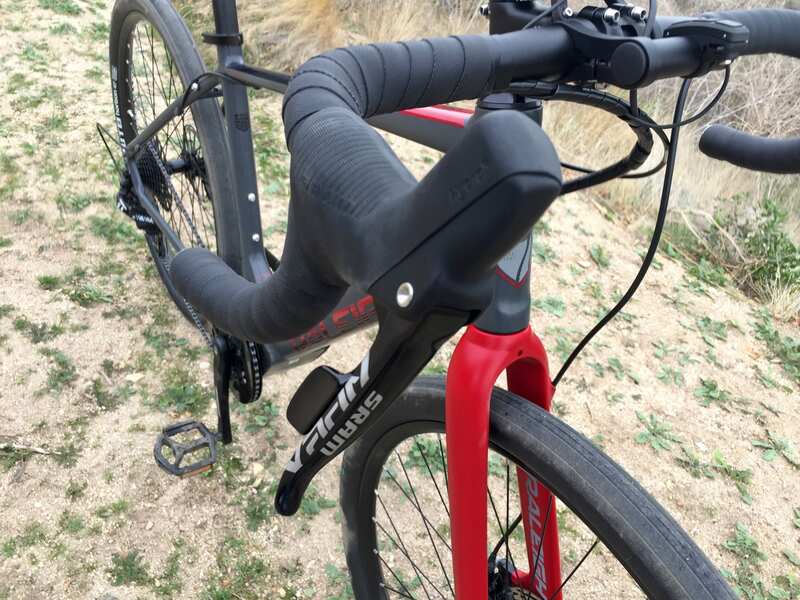 I work super hard to be thorough with these reviews and communicate possible issues, so it’s really neat to hear how you’ve overcome the bottle cage and cover things here, and the fenders too! I’d love to see some pictures if you feel like sharing in the Raleigh forums. Sounds like you’ve really set the bike up right! 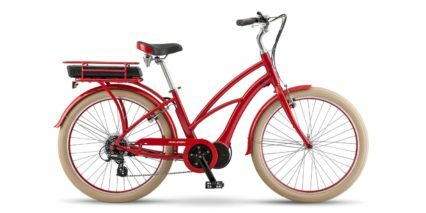 I too purchased this bike after watching and reading your reviews. I was deciding between the giant quick e and the raleigh redux. I was set on the redux at $2200, but was not absolutely in love. I disliked the front derailleur on the giant. 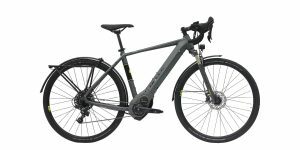 I had a trek domane sL6 disc and I was planning to keep it. However… I road the Giant Road E. which felt like home, but felt like riding a wooden roller coaster on the road it beat me up so much. What I did not like about the redux was the flat handlebar. The tamland was hanging there with a pricetag of $4100. After riding everything… the shop kept telling me I needed to ride it. I was hesitant because of the price. 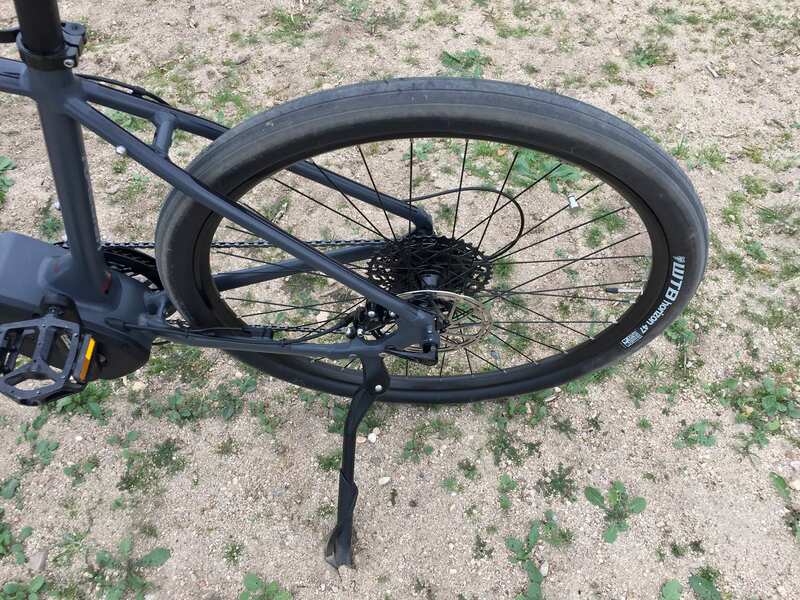 But I rode it and it was everything I wanted… familiar drop style handlebars, smooth as a mountain bike… those tires took out all the bumps, easy single front crank. and it was fun and fast like the road e. I decided on the test ride to sell my trek and buy the tamland. It did everything the trek did and it was more fun and more comfortable. The shop made me a deal at only $3100. Could not pass it up. So glad I did not buy the redux. although it would have been great too. This was the best purchase ever. The only issue for me has been that water. bottle cage. once I installed, the bottle cannot be in the cage to install the battery. plus. a tall bottle will not fit. no podium ice. just the small bottles. I do still plan to buy a normal bike for short distances. something like a specialized diverge maybe, but this tamland cannot be recommended more highly. Wow, what an adventure… trying so many things out. Thanks for spending the time to share your journey, Justin. I Hope the Tamland iE continues to work well for you and welcome further input anytime! The problem with this bike is that it’s not really a Tamland, and not really a drop bar bike. It’s a Raleigh Redux IE (a flat bar bike) with a drop bar attached to it, with all the subsequent geometry problems that entails, namely – reach that is too long for its stack. See for yourself – the small Tamland IE has 595mm stack and 418mm reach – exactly the same as the small Redux IE. For comparison, the largest 60cm non-electric Tamland has 621mm stack, but only 394mm reach – a whole 24mm less than the smallest Tamland IE! So even on the small Tamland IE you’ll be stretched waaaay out. Also, if you look at the Tamland IE and Redux IE side by side, it becomes pretty clear that it’s the same frame. This is NOT the way to make a proper drop bar bike. Wow! Thank you for catching this and sharing the comment Alex. I hadn’t noticed or thought about it while filming this review… was just impressed by the unique bar setup and speed motor design. I really appreciate the details and insight. I think Alex might be wrong about the stack and reach between the small Tamland iE and the small Redux iE. They are not identical. The Tamland has a 595 mm stack and 418 mm reach while the Redux has a 618 mm stack and 426 mm reach. His comparison with the non-electric Tamland is correct. Loved your review and all the other comments – enough for me to drive two hours to test ride one today. Visited a great dealer in Gilbert, Arizona today to test ride the Tamland iE – size medium. 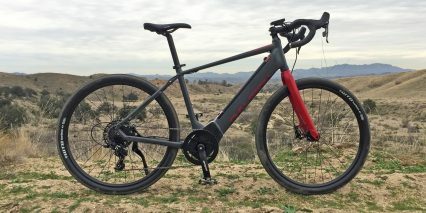 While I was impressed with the ride of the bike, the components, and whole package – the geometry measurements for this bike are really not well thought out. Consider that the Medium size that I rode said it was for riders 5′ – 6″ to 5′- 9″ and yet it has a 615mm top tube length – way too long for me (I am 5′ – 10″). 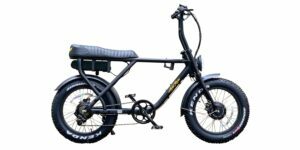 Consider that the non-electric Tamland 2’s largest frame size (60cm) has a top tube length of 590mm, 25 mm shorter than the Tamland iE Medium. 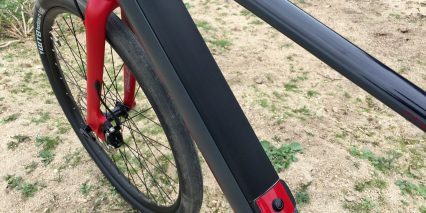 Then the small Tamland iE frame has a top tube of 600mm – what the ???? is Raleigh thinking? 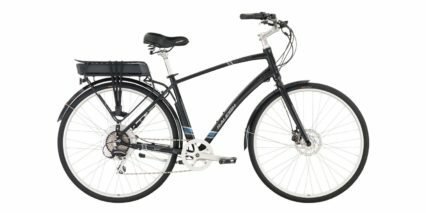 I really loved this bike but the fit is so far off on the small and medium frames – going to be hard to sell one. Too bad – I will have to look elsewhere. Hmm, thanks for the measurement feedback. 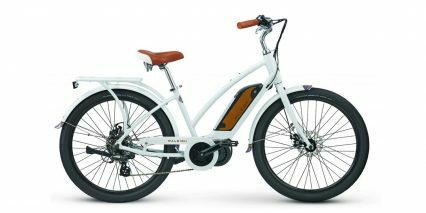 I have to admit, I did not catch the difference between the non-electric and electric versions of the Tamland. 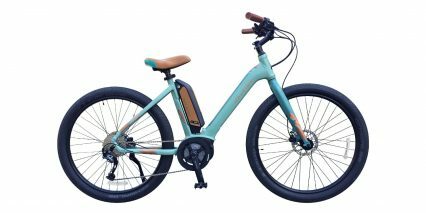 I was pretty focused on the battery and drive system, excited to have a new drop-bar ebike option, so I overlooked some of the other aspects of the bike. Your feedback here will definitely help others, and hopefully Raleigh sees it too. It is bazaar why they would change the top tube length. 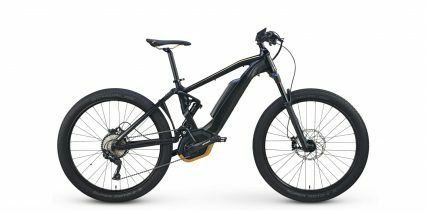 Maybe it has something to do with the battery integration or sharing frames from other ebikes that really aren’t built around the Tamland… just sharing the name/branding. 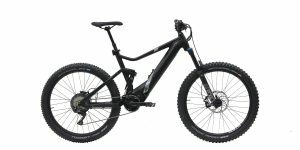 I think with the longer stem and drops it could change the body position from what might otherwise be a mountain or hybrid frame setup. I posted an earlier review. Still loving this bike after a year of ownership. regarding stem length. it was a long reach too long for me. my LBS. swapped out the stem for free. would have been 30 bucks. no big deal for others if not free. what I would really like to see Court after owning this bike is you to review some bike racks. I use a saris 2 bike hitch rack. works OK… but even without the battery lifting the bike into the tire holders while avoiding the straps is a chore. the bike is not light. I have even bruised the area at the base of my index finger occasionally. 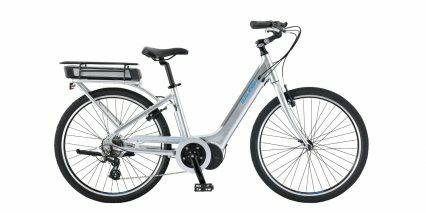 others must be interested in the easiest e-bike friendly racks. would be nice if there was a ground level one that lifted hydraulically. can you add rack recommendations to your reviews?